Meltaways are cookies that literally melt away in your mouth, leaving you with only the memory of the cookie and a delicious flavor behind. I happen to think that citrus fruits make particularly good meltaway cookies, as their aromatic oils really infuse the cookie dough with their flavors. These Lime Meltaways are an excellet choice for citrus lovers, and the easy-to-make dough makes them perfect for just about any occasion. The cookie dough does not contain any eggs and includes both cornstarch and ground almond meal (almond flour). While some meltaway cookies rely only on cornstarch to tenderize the dough, I find that they can sometimes feel a bit chalky as you eat them if they use too much cornstarch. The almond meal gives the cookies a little body and keeps them from being overly dry (at their worst, some meltaway cookies can feel a bit stale), while still ensuring that they remain crisp and retain their melting texture. 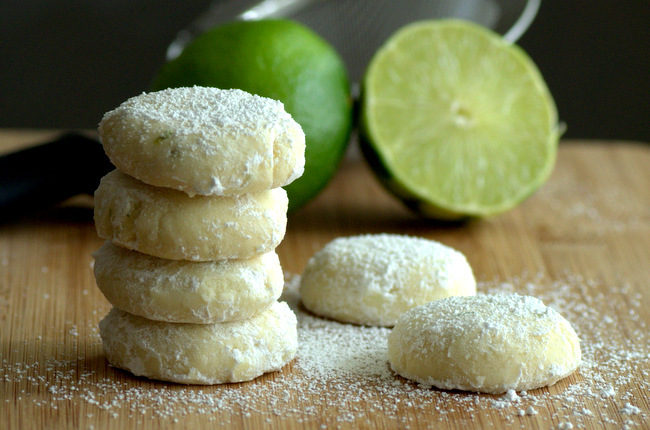 The cookies are flavored with a generous amount of fresh lime zest. You’ll need 2-3 limes to get a much zest as you need, but keep those limes around for another recipe! The dough is relatively dry and easy to handle. It is shaped into balls, then flattened into neat discs for baking. The cookies will not spread much, so you can get them quite close together on the baking sheet. Once baked, they should be allowed to cool completely before rolling them in confectioners’ sugar. 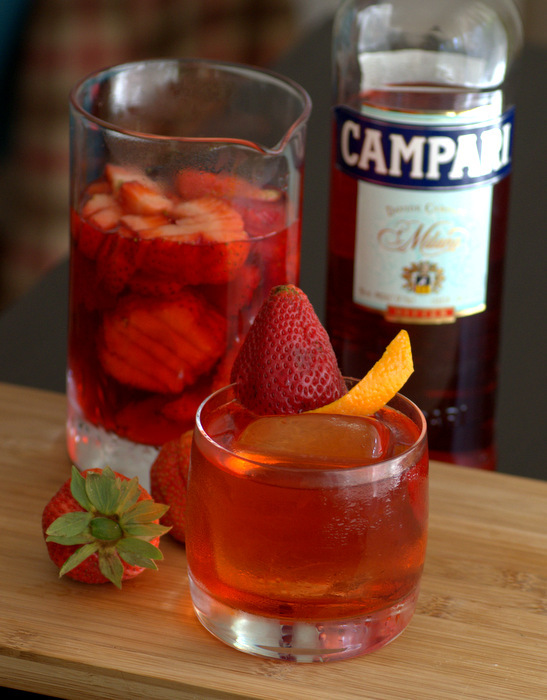 If you give into temptation and taste the uncooked dough, you’ll notice that it isn’t that sweet. 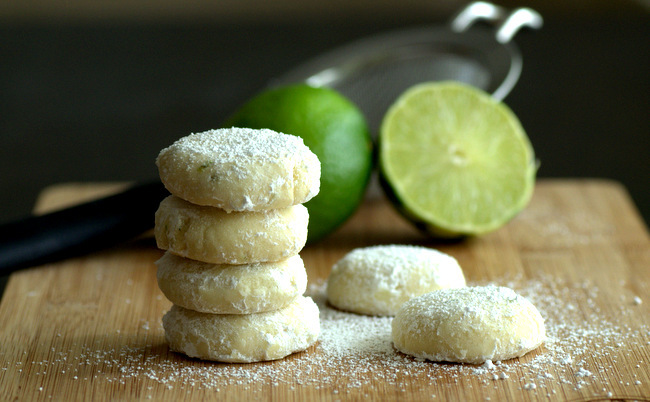 The extra sweetness that comes from rolling the finished cookies in confectioners’ sugar is just what the cookies need to make their lime flavor pop. Store the cookies in an airtight container for several days after baking if you don’t eat them all at once. In a medium bowl, sift together flour, almond meal, cornstarch and salt. In a large bowl, cream together butter and confectioners sugar. Beat in lime zest, then slowly blend in the flour mixture on low speed until all of the dry ingredients have been incorporated and the dough comes together. Shape dough into 1-inch balls and place on prepared baking sheet, leaving an inch or so between the cookies. Gently press the cookies to flatten them into discs. Bake for 10-12 minutes, until the edges of the cookies feel firm when you touch them. Cool on baking sheet for 5 minutes, then transfer to a wire rack to cool completely. When cookies are completely cool, sift 1/2 cup confectionersâ€™ sugar into a shallow bowl and coat each cookie in the sugar. Sift in additional sugar, if necessary.